Alfa Romeo arrives in the USA in disguise! Will Alfa Romeo ever get back to America? 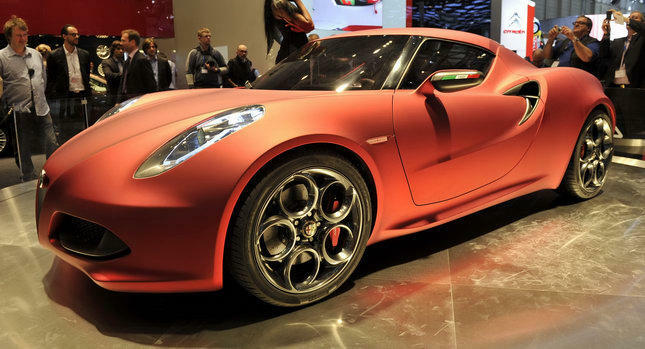 Will Alfa Produce any new models? Will Alfa survive? The question seem to go on and on and there still seems to be little in the way of answers. I suspect the problems are both caused by and stem from the problems that the parent company is having with Chrysler and the union pension fund buy out. In a nut shell Fiat hasn't got the funds to produce new cars and I suspect any major launches will be delayed until this is sorted out in the mean time we will have to make do with face lifts of the new models as Fiats cash will most likely be diverted to markets that it can make a profit in, i.e. Chrysler. this may not be a bad thing in the longer term for Alfa Romeo as the more time that passes the more any perceived image of the marque will fade. 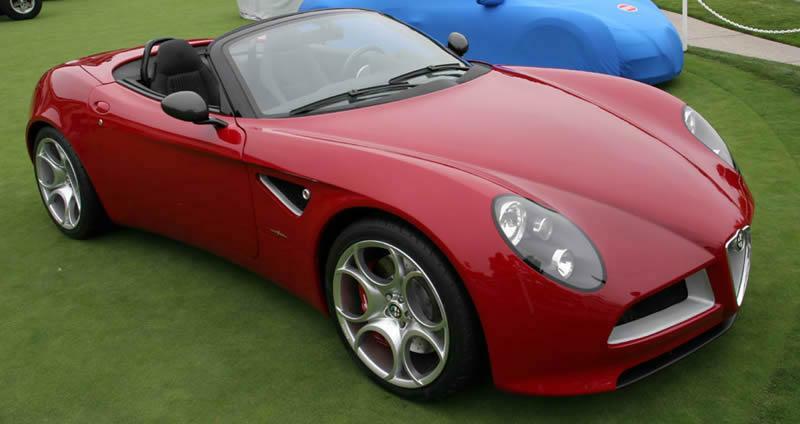 However the market does have a long memory and there have been a lot of issues with some of the products that Alfa Romeo has produced in the past. 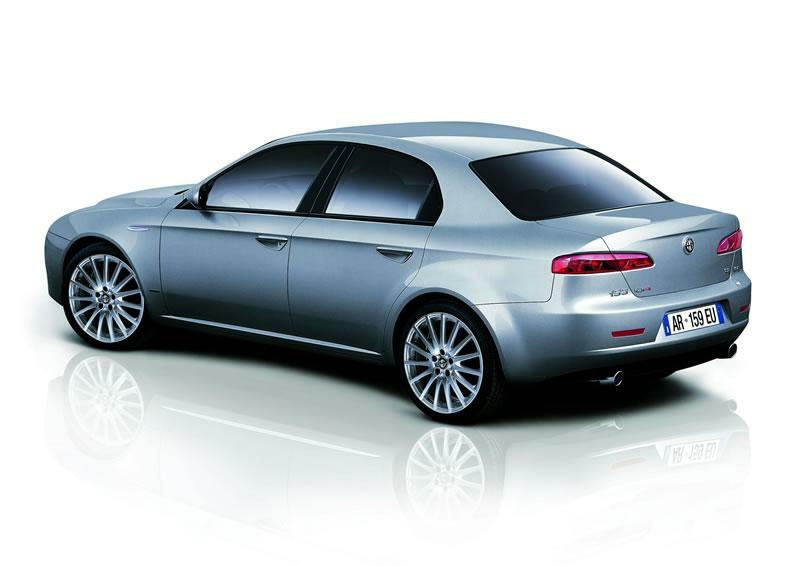 It does look like eventually Alfa Romeo will go back to America, I know the Dodge Dart is really a Giulietta in drag. But Alfa Romeo don’t sell any models under their own badge in the USA at present. I think that Alfa are going to release the 4C to the American's in summer or fall, the official release will probably be at the Geneva Motor show on the 7th of March. The heavily disguised 4c mule has been photographed on the roads of the USA a number of times in the last few weeks and if the launch of the 8C is anything to go by this precedes the public launch by about 6 months. The 4C is a feather weight sports car that should top the scales at around 1900 pounds with the chassis being made almost entirely of carbon fibre with aluminium hard points to mount the suspension and engine on. This diminutive cars minimalist weight will not only help it to accelerate faster but as we all know a lighter car corners quicker and stops faster, so while I dont think the chassis will be tuned for the circuit it wont take mush to make it into a track day missile. I dont think it is now a question of if this car is produced as I am 100% sure it will be I think it is more a question of if the American market gets it. Further into the future is more interesting, the fiat group has plans to get back into the American market but will it be worth making the effort to supply what will effectively be a badge engineered Dodge to a market that really doesn't remember Alfa Romeo. I think the answer hangs very much in the balance. I do think that Alfa Romeo's tie up with Mazda to replace the Miata may prove fruitful in the American market as the last really successful Alfa Romeo in the American market was the "Graduate" Spider as driven by Dustin Hoffman portraying the lead character Benjamin Braddock. Alfa Romeo looks set to take America by storm, first delivering the 8C Competizione to a few selected customers towards the end of 2007, then launching the Brera and the Spider in the US under its halo, these two models should be available a little earlier than predicted with the first cars likely to be on sale in the Spring of 2009, followed the 159 in early 2010. There's also an increasing possibility that the 8C Competizione Spider will also go into a limited production run of 500 cars in late 2008 with around 70 of them heading for the States. With the launch of the 8C, Alfa Romeo’s flagship model, which is based loosely on the Maserati 4200, Alfa Romeo has decided to use the Maserati dealership network for sales and servicing of the Alfa Romeo marque. 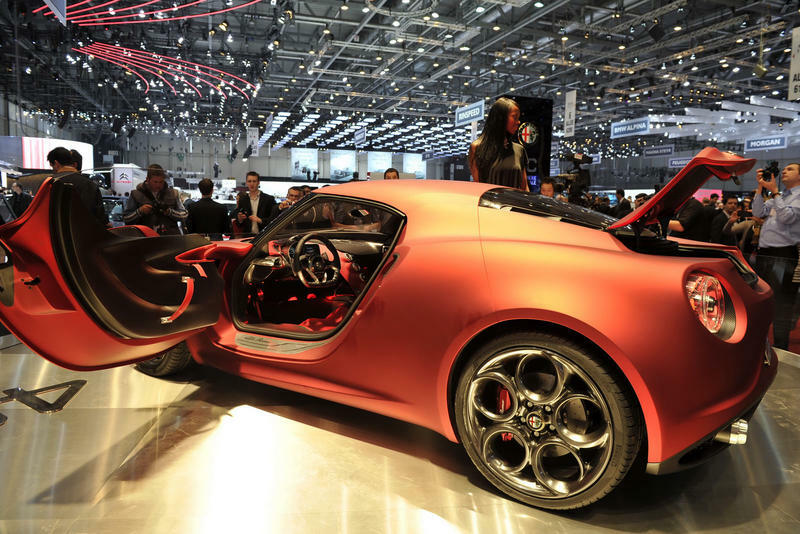 Alfa Romeo will expect all its dealerships to only promote its own products so you are unlikely to see the marque being sold together with other prestige marques like BMW or Mercedes. Initially Alfa Romeo intends to sell approximately 20,000 cars a year in the USA with the ambitious target of 175,000 sales within 5 years. With a view to the US launch Alfa Romeo intends to put the models on a diet and intends to reduce the kerb weight by 150kg. This will help with both performance and economy figures. Alfa’s long awaited return to the US is a key part of the companies worldwide strategy and its success there is necessary for the marque’s long term health. The company's restructuring of its service network is being based on a model that is being tested here in the UK market, with customer service being made a priority. Knowing the level of service that is expected on the other side of the pond there are hard lessons to be learnt. 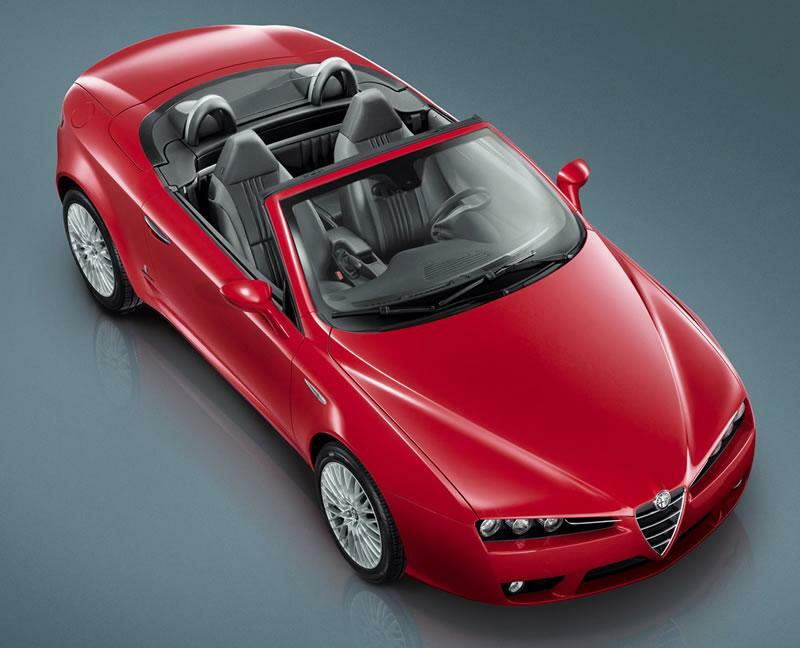 However, the product is significantly better built than all previous Alfa Romeos so there may be fewer problems with customer service as a result. In time Alfa Romeo is likely to release the 169 and CXOver in the USA, but you are not likely to see either the 149 or Mito in the US, but we will keep you informed of what we know to be happening over there.